We are in love with European beauty brands and today we are going to talk about our new discovery – a brand called Eudermica. 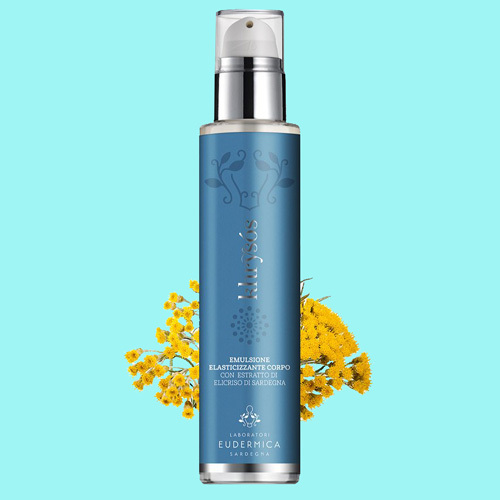 Eudermica is an Italian brand from Sardinia located in Alghero inside Science and Technology Park of Sardinia and surrounded by beautiful landscape of Capo Caccia-Isola Piana. Sardinia is the second largest island in the Mediterranean sea after Sicily and is located west of Italian peninsula. Sardinia is famous for its beaches, amazing landscapes, and it’s nature. Sardinia is one of the so-called Blue Zones where quality and expectancy of life are higher than the rest of the world – what could be a better place for beauty brand? Eudermica specializes in natural beauty products made with helichrysum, strawberry trees, and lentisk oil for face and body. For our test and review, we chose products from each line: Eye Contour & Lips, Day Face Cream, Facial Softening Tonic Water, Elasticizing Body Emulsion, Delicate Shampoo, Delicate Facial Cleansing Gel. Hàli – Eye Contour and Lips – is a hydrating and anti-aging treatment for eye and lips contour with Strawberry Tree Extract from Sardinia. The product is enriched with mimosa, jojoba, Argan, and Centella extract, vitamin E, shea butter and avocado oil. The contour absorbs really well and provides long-lasting hydration and comfort to the skin. 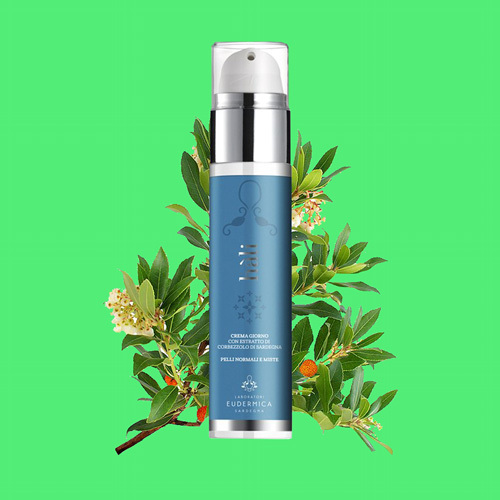 Agran oil protects and heals the skin and promotes anti-aging effects while Centella extract improves microcirculation. Hàli – Day Face Cream – Moisturizing and anti-aging treatment for normal to combination skin. This is a daily facial treatment that is moisturizing skin and taking care of the micro wrinkles keeping skin young, bright, and hydrated. 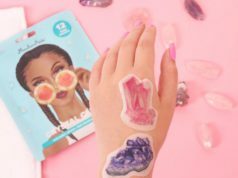 The product has a velvet-like texture and absorbs to the skin really well leaving a silky-touch, making skin look younger. Some of the ingredients of The Day Face Cream are the Rice Bran Oil that has anti-aging effects, Lentisk Oil that has soothing and protective effects, and UVA & UVB filters to protect the skin from the sun. Hàli – Facial Softening Tonic Water – is a tonic and revitalizing lotion that provides softening, refreshing, and soothing effect to the skin and is a great product to optimize and complete your facial cleansing. The Tonic is made of Rosewater, Cornflower water, Strawberry Tree, and Chamomile extract, Allantoin, and Betain. All ingredients have different types of soothing and softening effects making skin nice and smooth. Khrysos – Elasticizing Body Emulsion – Intensive Treatment against the loss of firmness. This is a great product that revitalizes the skin and promotes elasticity and firmness to the skin increasing skin resistance and preventing stretch marks and wrinkles from forming. The Body Emulsion is recommended for pregnant women, as well as during diet, or sports activities where the skin is subject to distention. Regular use of emulsion showed a great result of decreasing visible wrinkles and making skin more elastic and firm. Khrysòs – Delicate Shampoo – Moisturizing and anti-pollution treatment. 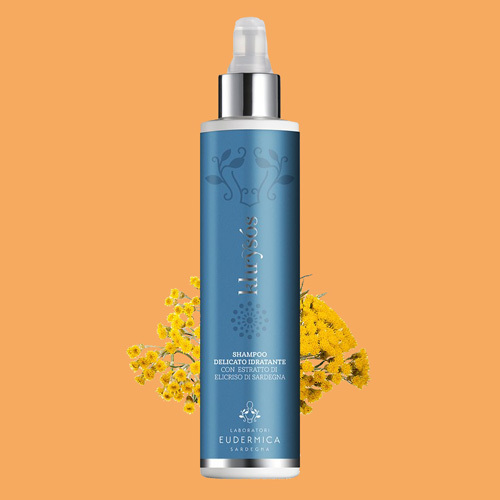 This shampoo is enriched with Aloe Juice, Oleifera Extract, and Helichrysum and is a great product to take care of the normal, as well as damaged and dry hair that needs softening and moisturizing. Aloe is rich in moisturizing and healing properties whole Oleifera extract protects from against pollution and free radicals, providing delicate cleansing. The Helichrysum has calming, soothing, and anti-itch properties. 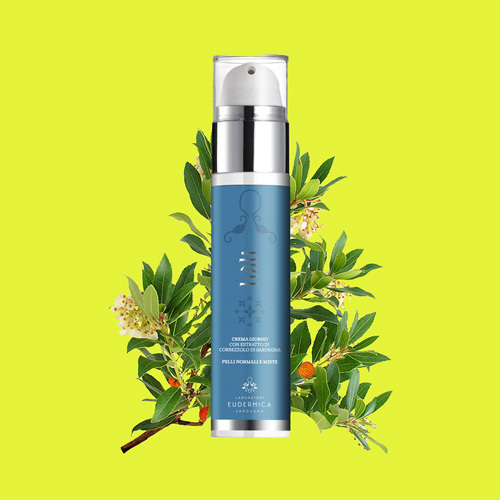 Hàli – Delicate Facial Cleansing Gel – is a Moisturizing and anti-pollution treatment for normal to combination skin. This gel cleanses and balances skin at the same time while taking care of the hydro-lipidic barrier. 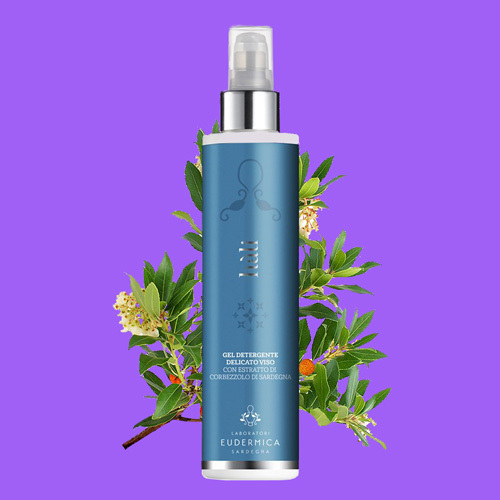 The cleansing gel can be used on sensitive and very sensitive skin due to its only natural ingredients: Rosewater rich in purifying and restoring properties, Strawberry Tree Extract containing Arbutin that promotes brightening, Moringa Extract that protects from pollution and free radicals, and Coconut Sugar with softening properties.